This box is full of fun and shine! 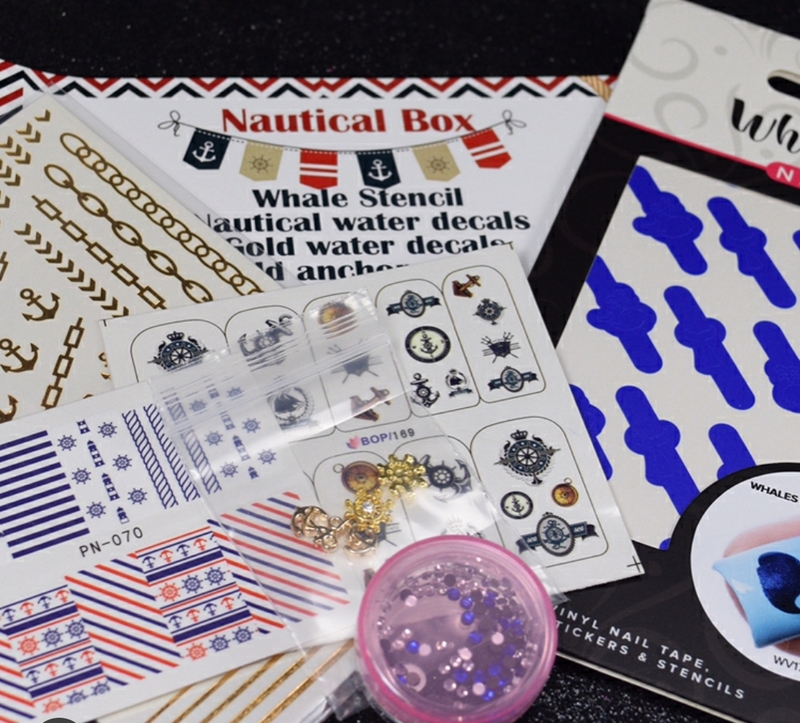 The box is a nautical theme with many fun extras. July 2017 NailDrama subscription box.